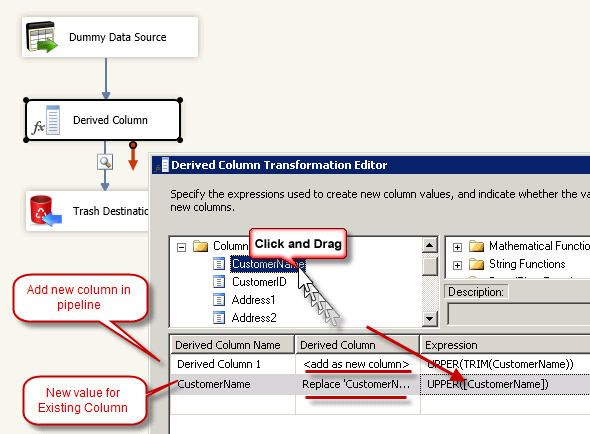 SSIS Derived column transform is used to change existing columns coming from Source or add New Columns in the Pipeline Buffer. Many time you need to change upstream column value inside pipeline somewhere in between source and destination. In that case you will most likely use either SSIS Derived Column Transform or SSIS Script Transform. For simple expressions use SSIS Derived Column Transform because its very fast compared to Script Transform. 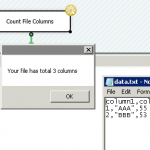 Some time you may have to use SSIS Variables in Derived Column Transform. Values of SSIS Variables are cached in PreExecute phase of Transform so its read only once when transform receive first row and then cached. 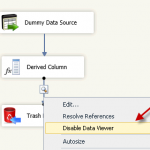 The most annoying part in SSIS Derived Column Transform is troubleshooting. Here are some tips so you don’t pull your hair. If error is at design time then most likely you will get validation error. You can read it by doing mouse over expressions flagged as red color. 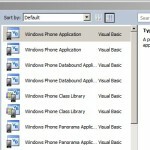 If error is at runtime then you have to find out which raw causing issue. [CustomerFlag]==1 ? "ACTIVE" : "IN ACTIVE"
[State]=="GA" ? "GEORGIA" : " [State]=="NY" ? "NEWYORK" : [State]=="AL" ? "ALABAMA" : "Other"